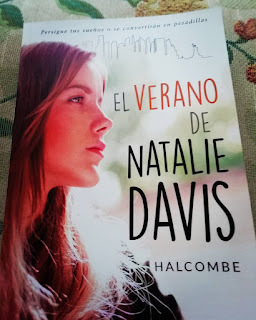 Movies, literature, fashion, music, wide range of unique stories and a lot of more gripping things... as the adventures of the peerless character Halcombe Hackney Norilsk. At Mount Holyoke, a female Seminary, ten miles from the house of Emily Dickinson, the principal asked all the students to rise if they wanted to be Christians, Emily was the only one pupil to remain seated. After two terms, she returned to home to spend her life within the grounds of her family mansion. She never married and tried to avoid domestic duties to read and write. In 1860 she ceased to visit other homes. There is no absolute certainty why she gradually withdrew from society. All of a sudden, she decided to live a reclusive life, becoming one of the most intriguing cases in the history of literature. She led a creative life in virtual isolation. Sending letters was then her preferred way of communicating with her friends, she addressed herself to a woman named Susan, her sister in law, her true soulmate, with whom she shared her intimate thoughts, drafts and asked about feedback. She also had correspondence with a professional man of letters who saw her talent although did not enjoy her subjects, she wrote 71 letters to him. Only ten poems of Emily Dickinson were published in life, yet one week after her death, her sister Lavinia discovered 900 poems hidden, all of them with no titles, no number, and no labels. Between 1859 and 1865, Dickinson composed more than a thousand poems. In 1863 for instance, she wrote more than 300 poems. The niece of Lavinia inherited the poems that have been published since; in 1955 a complete collection of poems appeared for the first time. 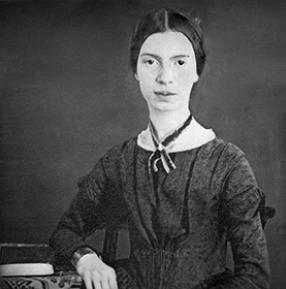 1789 poems have been published thus far, using the first sentence of each poem as the main title, all of them are as mysterious as the life of Emily Dickinson in the sense their meaning is arduous. The “I” person of the poem does not refer to her in reality. The complexity of her style announced the Modernist Epoch that was about to start. I got what you necessarily mean, thanks for posting. As soon as I found this website I went on reddit to share it to others. I ran across your site last week as well as started to follow your posts consistently. only a blog. I truly loved reading through a couple of your posts. Fantastic articles of course. I will keep visiting your blog regularly. I learned lots from you. Thank you! of writing in relation to Blogger: Halcombe Norilsk! And this I have been trying to get. If only Designed these sort of outstanding ability as a copywriter. I am a student so i will have to re-write a great newspaper continuously . Halcombe Norilsk. Awesome Inc. theme. Powered by Blogger.